Are you at a point in your life where something needs to change? Do you feel stuck, maybe even trapped? Are you just drifting through life doing all the things you’re “supposed” to do, but not going after the things you really want to do? Deep down do you feel like you were meant for something more than this? Are you frustrated that you don’t know how to have your breakthrough? What if I told you the way to start is to turn inward? To find your purpose look in and up. I am very big on the idea of asking yourself empowering questions. (It’s a big part of how I coach my clients to create the goals and plans they use to create extraordinary lives.) We ask ourselves questions all the time. For good and bad, our brains come up with answers no matter what we ask. Let’s ask questions that encourage you, lift you up, get you excited, and lead to the results you want. But first we have to get clear on a few things. Why do you want to change your life? Because I’m not happy, Greg. Jeez! Hey, I get that things aren’t where you want them to be. I’m not trying to get down on you, I’m just trying to help you get clear on why you must change. That will keep you going when the journey gets tough. It all starts with your why – your purpose. Then we can get to what you really want and the obstacles holding you back from starting to get it. He said he’d have to think about it for a minute. He already knew down deep, but I don’t think he’d ever taken the time to articulate it and bring it to his conscious mind. He replied that he wanted to earn an income to provide for his family so they could live in a better neighborhood with better schools and they would have everything they need. Now, we were getting somewhere. From there I asked him how that would change his life emotionally, relationally, financially and more. Purpose + Passion = Joy! Do you want to be more excited about your career, your spouse, your relationships, your family, and your spiritual development? Do you want freedom to control your own time, career, vacation, and life? Freedom to travel the world with the people you love? Do you want to generate abundant amounts of income so you can do everything you’ve ever dreamed of, take care of your family, and give to help others? Why must you change your life? Once you’ve figured that out, you can move on to what you want and how to start doing it. What are you doing when you feel great? What type of work are you doing when you feel like you’re in the zone or in flow? What things have you done that you’re passionate about and that bring you joy? What things have you done that you felt brought meaning to your life? What would your dream job entail? What would a terrific relationship with your spouse look like? Why do you want to have to change? What would be bad about staying exactly the way you are? What would be great if you changed? What would make the changes worth all the time and effort it’s going to take? Take at least 30 minutes to answer these questions and write them down. Magic happens when we write our thoughts down. They become more real. Magic happens when we write our thoughts down. They become real in a different way than when they are only in our heads. Make this as real and emotional as you can. It’s your life and it won’t become what you want by accident. I want to give as many people as possible my free eBook, 5 Steps to Finding Your Purpose. Please forward this to a friend who needs it. If they click here, they can get the free eBook. How Do I Find My Passionate Purpose?! That’s what I want you to know today. There’s more than one way to find your calling. One way is no more “right” than any other. Don’t feel like something is wrong with you because you haven’t always known what your purpose is. Some people are unsure of their purpose, but instead of trying to figure it out they just drift through life. They take the path of least resistance, get a job, go to work, wait for the weekends and 2 weeks off a year and sadly accept that is all life has to offer. You’re not one of those people or you wouldn’t be reading this. Still others use their feelings of frustration and uneasiness to push them to try a bunch of different ideas until something resonates with them. They keep going with it until their desire builds or burns out. 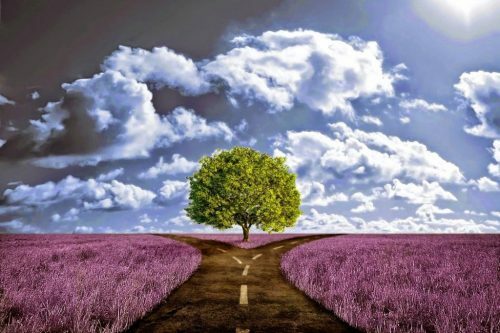 There is no right way, but there is a right way for you. Maybe you’re like me and you need to spend time searching for your purpose that will lead you to the extraordinary life of your dreams. I spent countless hours thinking introspectively to determine why I was here. I read books, listened to tapes, went to church, attended seminars, watched videos, prayed, kept journals, and did all kinds of exercises. Then I took action and tried what I thought was a passionate purpose of mine. Sometimes, my desire for it fizzled. Other times, the more I did it, the more excited I got. I took that as a good sign and put more and more effort into it. That works for me. I put that in the present tense because I continue to work on personal growth in every part of my life. But that’s me, not necessarily you. You might do best trying a combination of these methods, or something totally different might get you where you want to go. But, don’t give up. Your Passionate Purpose is inside you. Your challenge is to find it and get busy going after it. It’s what can turn your life from boring to bold – from pointless to purpose filled – from everyday to extraordinary. Don’t you want that? Finding your purpose can change your life from everyday to extraordinary. 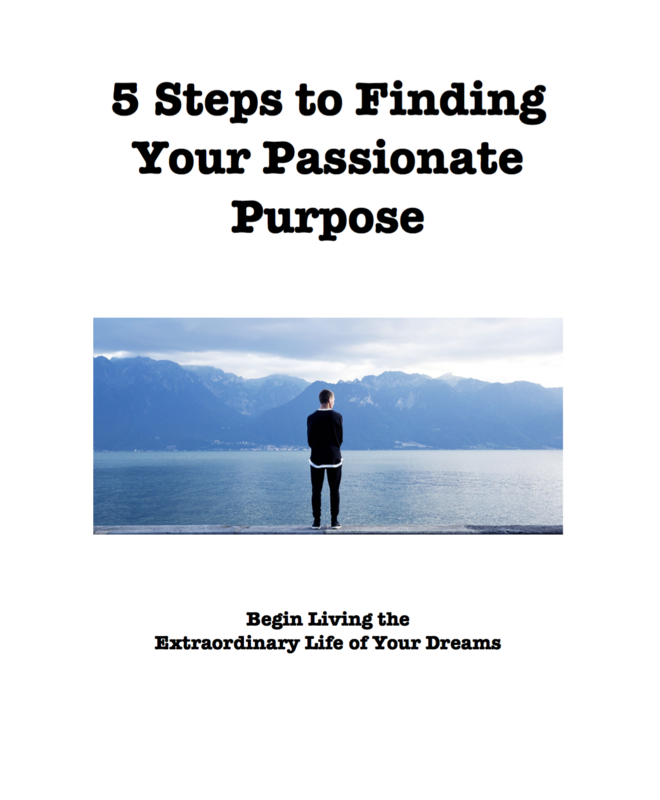 A good starting point is my free ebook – 5 Steps to Finding Your Passionate Purpose – or my paperback – GO! How to Find and Pursue Your Passionate Purpose. These will aid you in turning inward and finding a starting point to an extraordinary life. Even after you think you know what your Passionate Purpose is, you will still take some detours and hit some speed bumps along the way. You might decide to change your mind and pursue something else. All of this is OK.
A person with a strong enough purpose doesn’t need a snooze button. Some things are the same for all successful people. They know what they want, why they want it, they take consistent action and – even if they stall out for a while – they keep going. 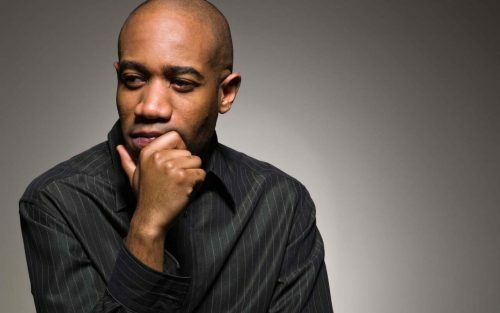 Questions: 1) If you’re stuck, which method(s) will you try to get you started on what you want. 2) What action can you take right away to get you on your path? I want this on my tombstone: He followed his purpose and greatness happened. The biggest frustration I hear from people right now is, “How do I find my purpose?” If you don’t get that right, you’re missing the whole point, right? You can act like it doesn’t matter, you can busy yourself with the day-to-day things, and you can even fake happiness for a while. But the question keeps gnawing at you. It keeps scratching at the door like a dog that wants in. It keeps throwing pebbles on your window like a boyfriend trying to get your attention. Some people try to ignore it their whole lives because thinking and doing something about it is too scary and hard. But it will not be ignored without negative, soul-crushing consequences. You don’t want to ignore it. You have this feeling deep inside that you were made for something better. You realize this is it. This is your life – right now. You don’t get a dress rehearsal or a do-over. You get one shot and it’s not going the way you want it to go right now. You were supposed to be somewhere else by this time in your life. You want more – more meaning, more significance. You can’t stand the idea of being average, mediocre or just getting by. I’ve got so much to say about this, I could write a book on it. Oh, wait. I did. You can get my book, GO! by clicking here. You can get the companion workbook, 5 Steps to Finding Your Purpose, as a free eBook by clicking here. But I want to add to that as well. So, I’m going to write a series of posts over the next few weeks to help you find your Passionate Purpose and then a few more about how to pursue it. We better define what purpose means when we talk about it here. Purpose – pur·pose: The reason for which something is done or created or for which something exists. Hey, I didn’t say it was easy. But it also doesn’t have to be so hard. You get up every morning, wouldn’t you enjoy it more if you figured out a compelling reason? That’s what I want you to know today. There’s more than one way to find your calling. One way is no more right than any other. It’s what ends up working for you that is your right way. Don’t feel like something is wrong with you because you’re not doing it the ‘right’ way. Others try a bunch of different ideas until something resonates with them. They keep going with it until their desire builds or burns out. For most of us, we don’t get the Aha! moment. We have some ideas about our purpose, some things that excite us, some ideas we’d like to try, but nothing like a voice from a mountaintop telling us what to do. But if we’re not careful we can spend weeks, months, years, even decades waiting for that Aha! moment. We’ll keep reading books and blogs, watching TED talks, listening to podcasts and buying online courses, and not taking any real action to change our lives. Get this. For most of us, there is no perfect purpose, idea, career, job, or plan for our lives. The best we can do is go with what resonates with us the most right now. Take action on it. Try it on for size. See how it feels. If a passion for it starts to grow, feed it some more. It might grow to become your Passionate Purpose. If it isn’t doing anything for you, try something else. Why do you get up in the morning? Why are you here at all? What do you want to do with the time you have? What difference do you want to make? What do you want to accomplish? With your life? Your family? Your relationships? Who do you want to become? What do you want to be known for? Those answers will get you started. My free eBook has a ton of questions that can help you drill down deeper on this. From there you can work on how you use your purpose to fuel every part of your life in and out of work. Maybe you’re like me and you need to spend time searching for your purpose that will lead you to the extraordinary life of your dreams. I spent countless hours thinking introspectively to determine why I was here. I read books, listened to tapes, attended seminars, watched videos, kept journals, and did all kinds of exercises. That works for me. I put that in the present tense because I continue to work on personal growth. I love learning this stuff. But that’s me, not necessarily you. You might do best trying a combination of these methods, or something totally different might get you where you want to go. All of this is OK. Walk your own path. However, some things are the same for all successful people. They know what they want, why they want it, they take consistent action and – even if they stall out for a while – they keep going. Most people have more than one purpose – often more than one at a time – and they change throughout their lives. I have several purposes right now. 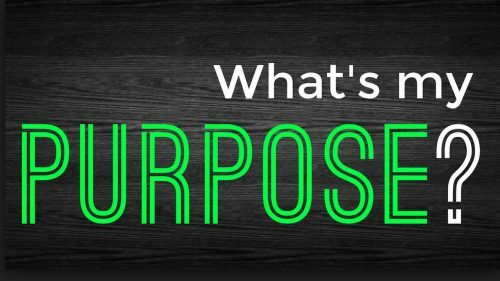 My work purpose is: To help as many people as I can find and pursue their purpose so they can live out extraordinary lives and change the world. That gets me super excited. I want to get up early to do that. I want to help people do that through my books, blog posts, online courses, coaching, videos, and more! My family purpose is: To unconditionally love and serve my wife and daughters and help them live the extraordinary lives they were created for. That leads me to spend more time with them and finding ways to help them. My spiritual purpose is: To develop a deeper relationship with Christ and try to act more like Him. That leads me to spend more time reading the bible, praying, and looking for ways to serve. What about you? What purposes get you excited? Please don’t just read this and forget it. Take some time today or this weekend and figure it out. 1) Get my free eBook and spend time this weekend answering the questions to get you started on finding your purpose. 2) From your work answering the questions, take at least one action on a purpose that resonated with you. Ramp it up. One to one coaching and an online coaching program for various budgets now available. Click here for more details.